The Portrait of a Lady is an intensely moving masterpiece on the destructive power of love, and features Henry James's most magnificent literary heroine. Isabel Archer, a wealthy, beautiful and spirited American, is expected to marry when she travels to Europe with her aunt. But Isabel is resolved to enjoy the freedom that her wealth brings, and must somehow choose between suitors who may all be hiding sickeningly different motives behind their avowals of love. Henry James (1843-1916), the son of the religious philosopher Henry James Sr. and brother of the psychologist and philosopher William James, published many important novels including Daisy Miller, The Wings of the Dove, The Golden Bowl, and The Ambassadors. This book has words in it. Lots and lots of words on lots and lots of pages. I know there are people out there who have no patience with words in books, so I just want to be upfront about this one. You've been warned. 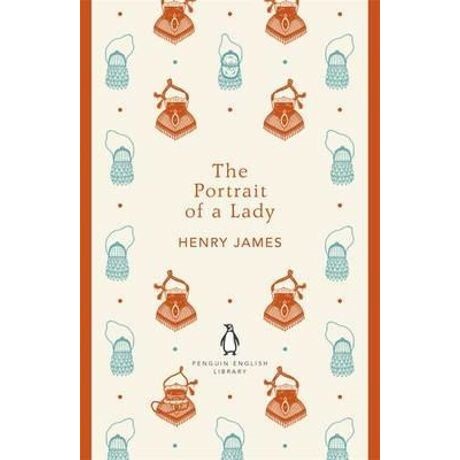 So, having said that, let me introduce you to one of the most beautifully written and intelligent books you'll ever read - Henry James' The Portrait of a Lady. James does not deal in generalities; his pen is ever poised above particularities. The inner worlds of his characters are complete. The world in which they move is solid. We are invited into the society of the very elite - not the plodding moronic morass of today's elite - but the refined, highly educated, morally dexterous, eminently enviable elite of a lost age. (Okay, these people may never have existed in life, but they should have.) In an age when women were not considered the equal of men, Henry James gives his heroine, Isabel Archer, intelligence, wit, emotional strength, health, wonder and the right to choose. Forgot the way of reading we've become used to. Do not turn pages quickly. Linger. Enjoy the extraordinary use of language, the sharp insights, the clarity of thought. I found myself reading pages aloud. Jotting down long passages. Rereading scenes again and again. This is what art should always aim at achieving. Immersion.